A tripartite agreement led by the Dangote Rice Limited have been signed with rice farmers and Sokoto State government expected to boost rice production, even as Dangote group has decried huge forex on rice importation, reports NaijaAgroNet. The partnership, NaijaAgroNet gathered is expected to create some 16,000 jobs for outgrower rice farmers in Sokoto State, so as to ensure the success of the scheme to make Nigeria self-sufficient in rice cultivation. The agreement, NaijaAgroNet also reported, was signed during the launch of the Dangote rice outgrower scheme in Goronyo, Goronyo Local government, Sokoto State, which was witnessed by the Sultan of Sokoto, Alhaji Sa’ad Abubakar. Farmers were presented with rice seeds, fertilizers, nets, agro-chemicals. 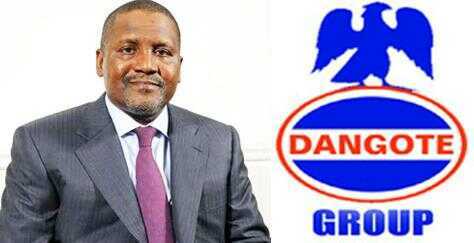 Chairman of Dangote Rice Limited, Aliko Dangote said he was moved to go into rice cultivation because of the genuine interest of the Federal government to revive agriculture as the mainstay of the economy, and reduce importation of foods that could be produced locally. He decried that Nigeria consumes 6.5 Metric tonnes of rice which costs the nation over 2 billion dollars annually, and pointed out that it is heartening that the government now has policy direction that encourages private sector’s active participation in agriculture. “Buoyed by the policy direction of the federal government, we at Dangote decided to key into this by establishing Dan gone Rice Limited to partner with states to redress the present situation where a huge sumo forex is spent on importation of rice. “In the next three years we want to produce one million tons of quality rice and make it available and affordable to the people. We hope to do 150, 000 ha and when we are done, Nigeria will not have anything to do with importation of rice. “This Scheme will help to diversify the economy, alleviate poverty and reduce the nation’s import bill. The scheme has been designed as a one stop solution for the rice value chain,” he stated. The Dangote Rice Project Director, Robert Coleman, said the Sokoto operation was a demonstration phase to familiarize the farming community with the programme, train extension workers and lead farmers as well as test modern technologies. He noted that they would have 25,000 ha cultivated by nearly 50,000 outgrowers in 2017 in addition to hundreds of jobs expected to be created by the end of that year. In his remarks, Governor Aminu Waziri Tambuwal expressed delight at the event, saying the coming of Dangote to invest in the state was as a result of his sustained effort towards inviting prospective investors to the state. He said the state under the scheme, just as it had done with the federal government, would distribute nets, water pumping machines and fertiliser T subsidised prices to help the farmers have good yield. The state Commissioner for Agriculture, Alhaji Umar Tambuwal, disclosed that the scheme would cover 10 local governments in the stated and that the state government is committing several millions of naira to support the famers in the scheme. According to him, “the farmers participating in the 5000 ha pilot scheme, the state government is giving out free nets to fight against queue a birds during production which is costing the state N48 million. The state will release and sell 5000 units of water pump worth N170 million at a subsidised rate of N10, 000 each. Sultan Muhammadu Sa'ad Abubakar however, commended President Buhari for his diversifying efforts, urging Nigerians to pray for him. He commended the Sokoto State government for the encouragement and support being given to the outgrowers scheme, saying it is a thing of joy that the state is also involved by way of giving the famers some of the inputs needed so that the scheme could succeed. The National President of Rice Farmers Association, Alhaji Aminu Goronyo described the scheme as one of the potential means of making rice available and at low cost to the people because the farmers are encouraged to put all their best into it. He said he has no doubt the scheme would success because it a private sector driven and that given the pedigree of the Alhaji Dangote in business, he was sure there the scheme would be sustainable and sooner than later other states will key into it.